Imagine soft sand, warm water perfect for swimming, a splendid sunset view, charming restaurants, and shops located just minutes away. 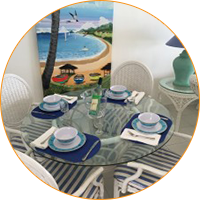 Guests receive all of this and more when they book one of the vacation rentals at Beachside Villas on the Caribbean island of St. Maarten. Dedicated hosts since 1987, we serve guests in the finest fashion. When planning the perfect family vacation or romantic getaway, choose to rest your head 75 feet from the ocean at one of our vacation rentals. 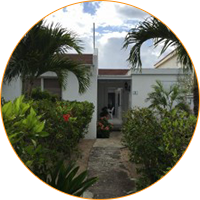 Our privately owned, 14-villa resort is secluded, making it perfect for friends, families, and honeymooners. Guests enjoy staying at our island paradise so much that many of them choose to visit us again and again. 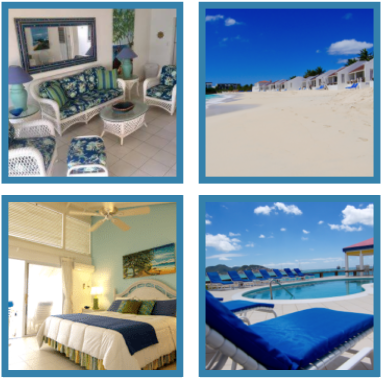 To reserve one of the beachside villas at our Caribbean resort, please reach out to Drew and Tracy today. Reserve a vacation rental property today.